JKTDelicacy.com: DJATI BISTRO & DRINKERY - 1st Dinner in 2016! Meanwhile, this is my very first post in 2016. 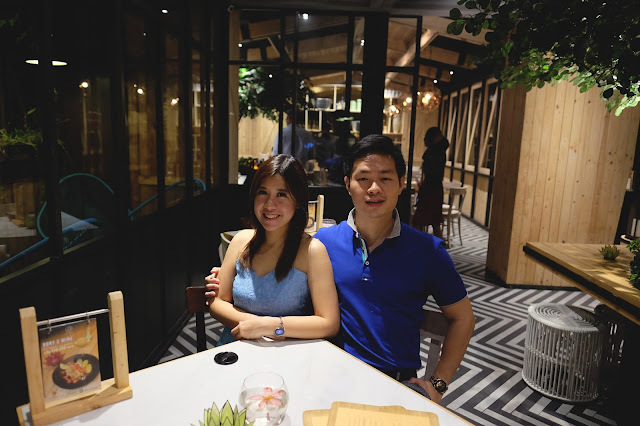 Normally, on the first day we all gather with our family and have a quality time or have a lunch / dinner. I did it with my wife's family by having lunch at Bandar Jakarta, Bay Walk Pluit. It was a pretty decent lunch there with the great sea view. Later at night, we were kind of dilemma on where to have dinner. 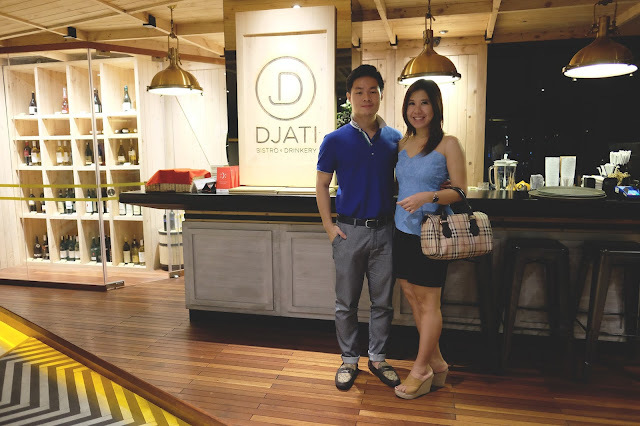 While driving for no direction, I had an idea to try Djati Bistro & Drinkery in Sarina, Central Jakarta. It was once on my to-go-list-restaurants months ago but never made it there. So, we were very excited to visit there. 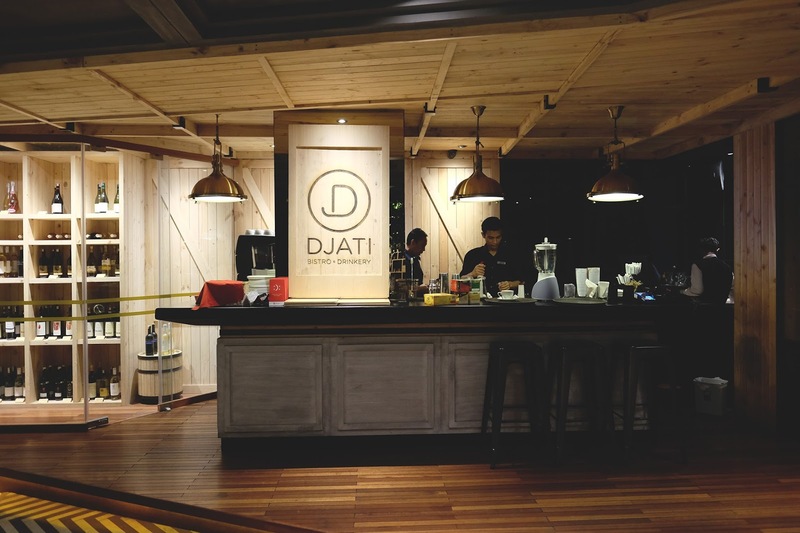 FYI, Djati Bistro is located on the 1st floor of ORIA Hotel in Jalan Wahid Hasyim (just across Beer Garden). Once arrived there, it wasn't really as expected. I thought that it gonna be crowded, full of people having fun, or loud music. 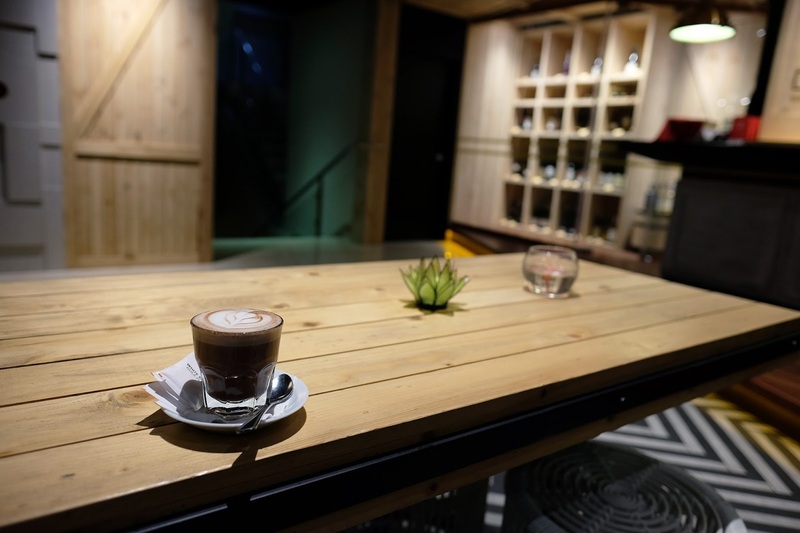 But it was a typical calm and relaxing lounge with a full brown and wooden theme on the interior. I quite like the ambience here, it was very silent like you could here people talking. 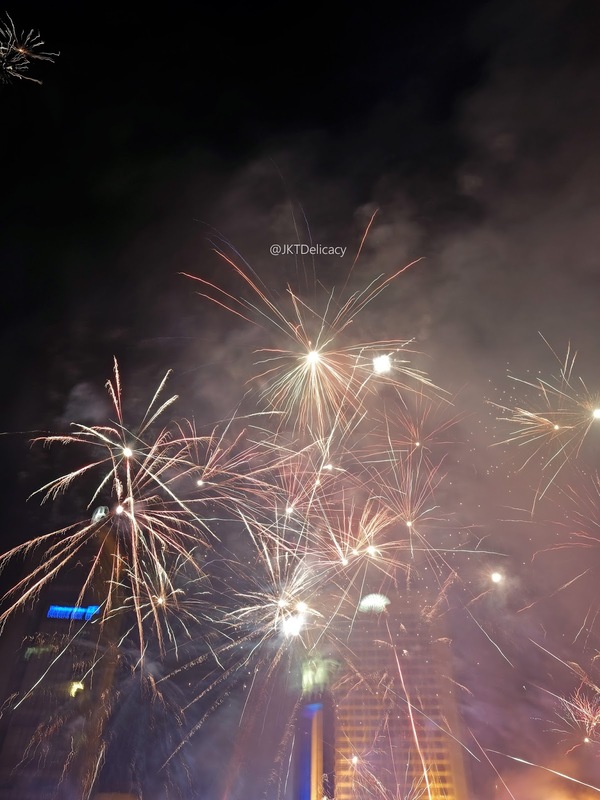 But last night (Friday, 1st Jan 2016) only a few people here, so we could enjoy the night. 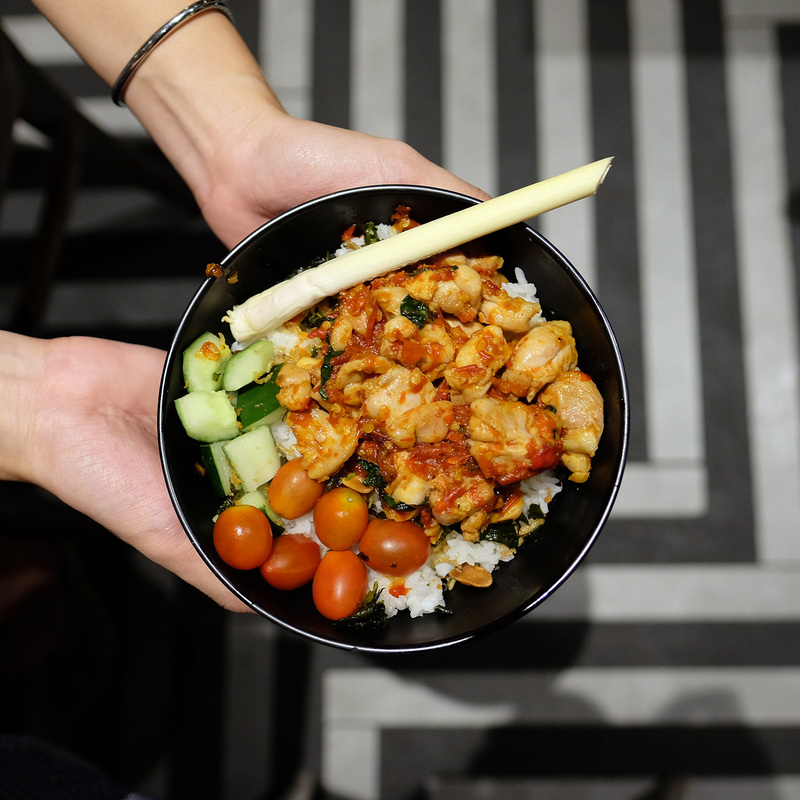 This Ayam Rica-Rica (69K) was a humble bowl of fragrant rice with Rica Rica chicken on top. 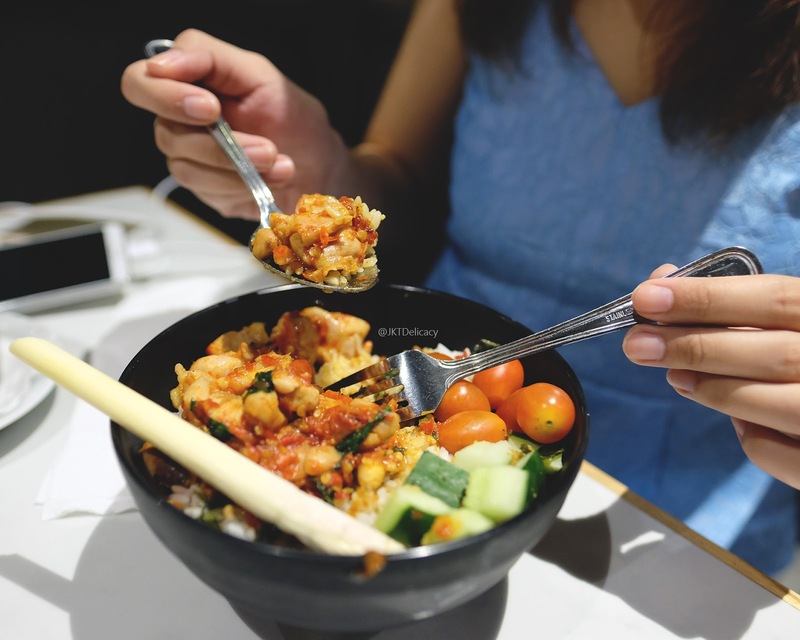 The rice was cooked together with basil leaves, ikan teri, and peanuts. That reminded me of Sundanese rice that I usually ordered when in Bumi Joglo, Bandung. 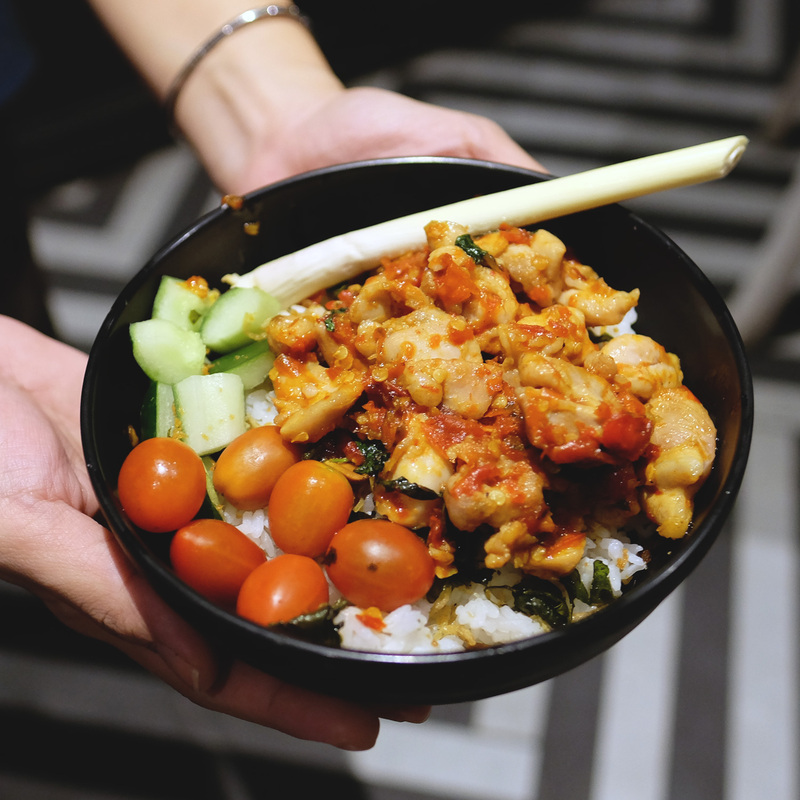 The chicken was very tender with mild spiciness, very savory and slightly sweet. Very recommend this one! 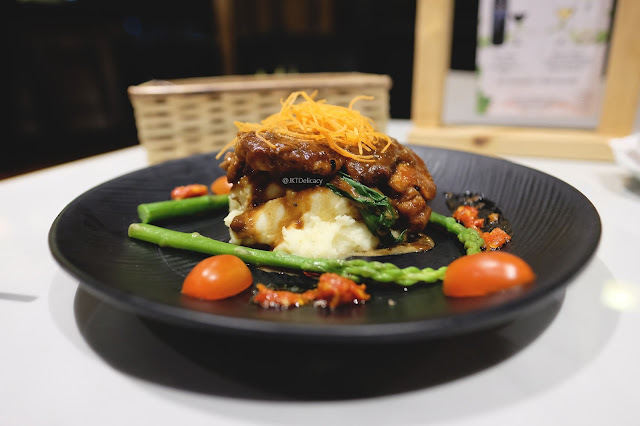 This one is Grilled Baby Chicken with Peanut sauce (75k). When I tasted it for the 1st time, this reminded me of Sweet Gado Gado sauce. The chicken was OH SO GOOD! Very tender and boneless, I ate it like so effortless like every bite was so worth it. 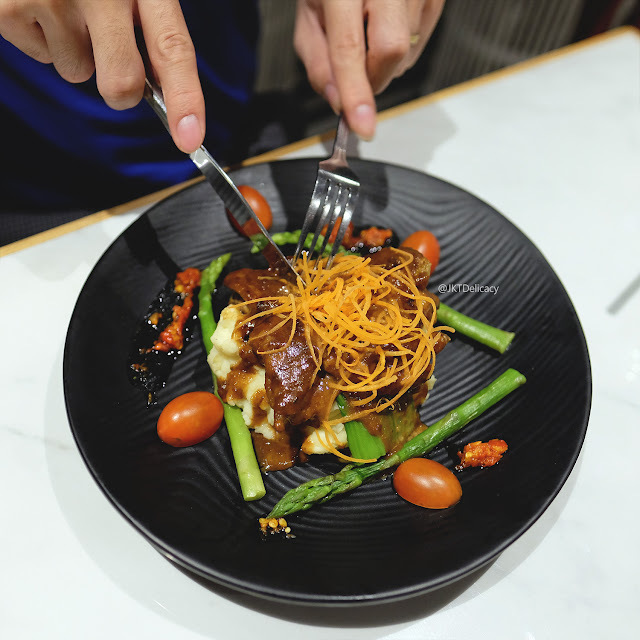 It comes with asparagus, cherry tomato, mashed potato and sambal. 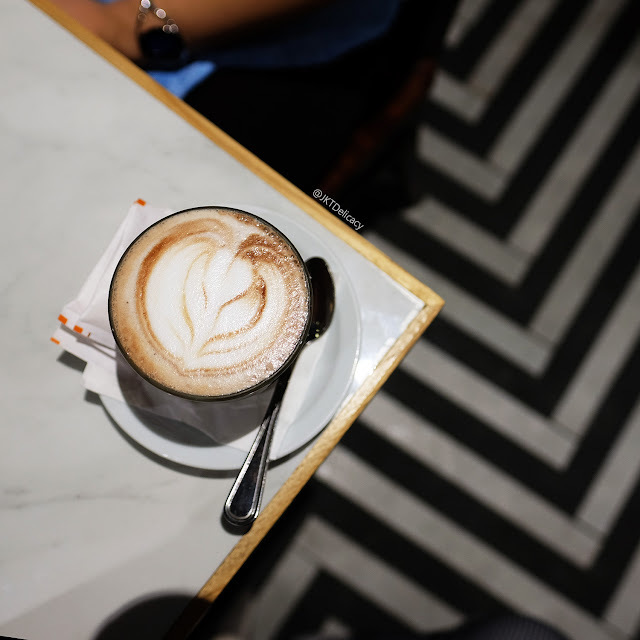 The Hot Chocolate (32k) was just okay, not the best one. I expected it to be thicker and bold in flavor. This was similar to instant sachet chocolate drink. 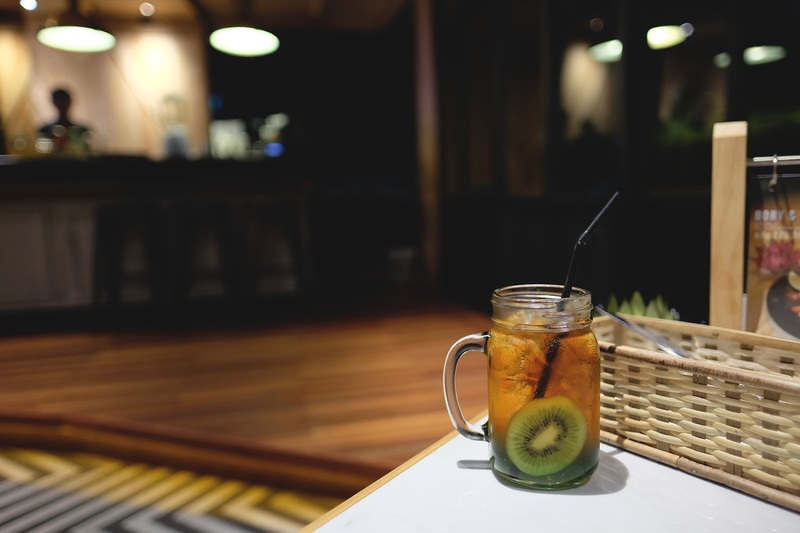 The Iced Kiwi Tea (30k) was just fine, a typical Iced Tea with Kiwi Syrup. The overall experience here was great! I love the hospitality by the workers there (Oria Hotel), from the super polite parking security, the nice receptionists, and the professional waiters on the restaurant. Definitely will come back with friends for a great hang out.